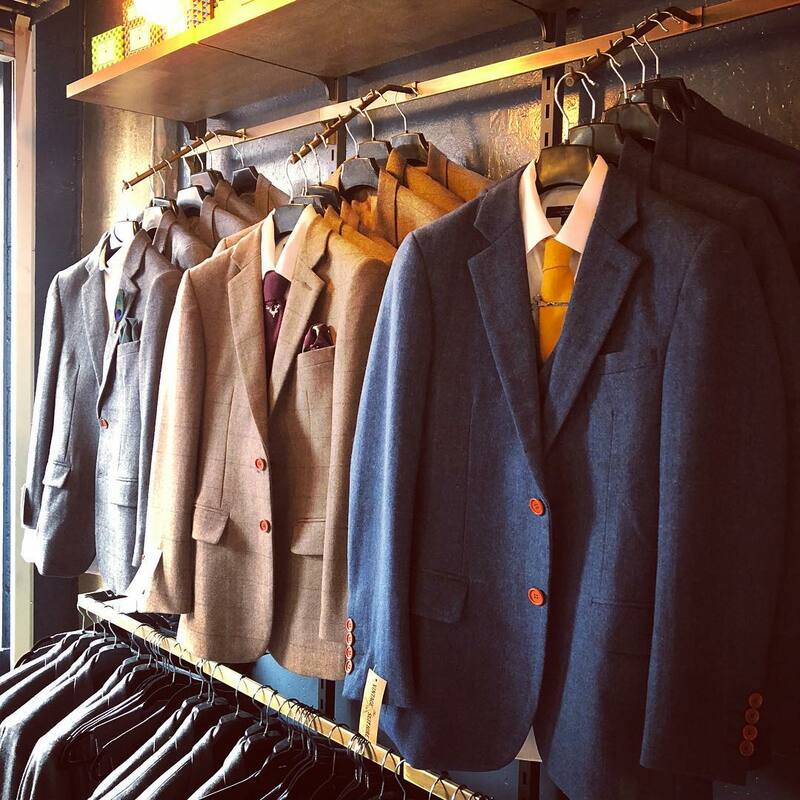 Visitors to Castle Lane may have noticed that the Vintage Suit Hire Company has undergone a transformation. 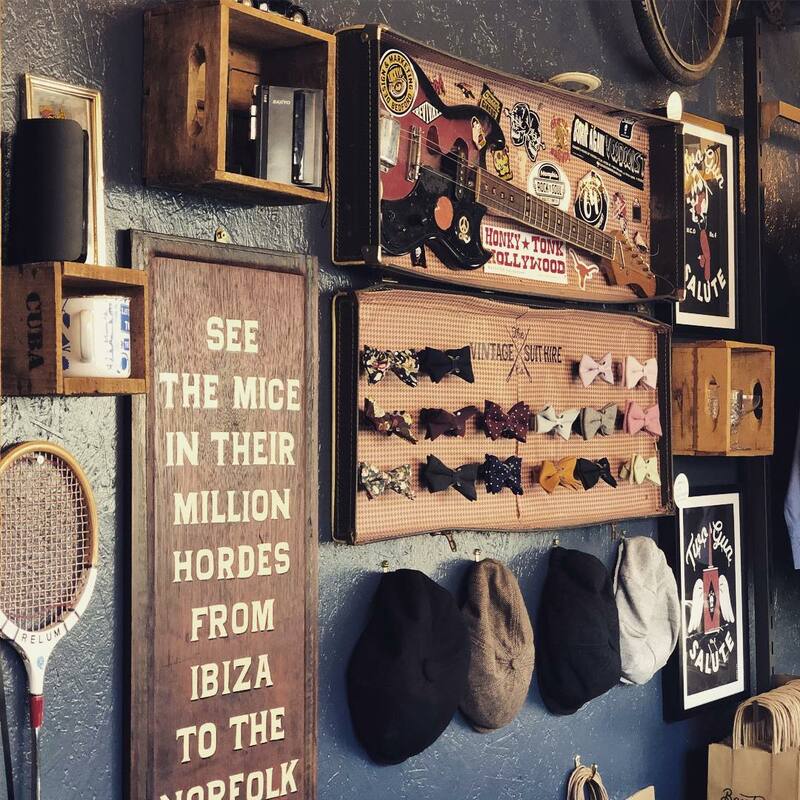 While half of the shop is still appointment only and dedicated to suiting and booting grooms and wedding parties in their vintage hire suits, the other half is now Boyd’s of Bedford – selling an expanded range of classic menswear, footwear, accessories and gifts. The new shop is also a feast for the eyes, with eclectic objet trouvé and neon signs adorning the walls. 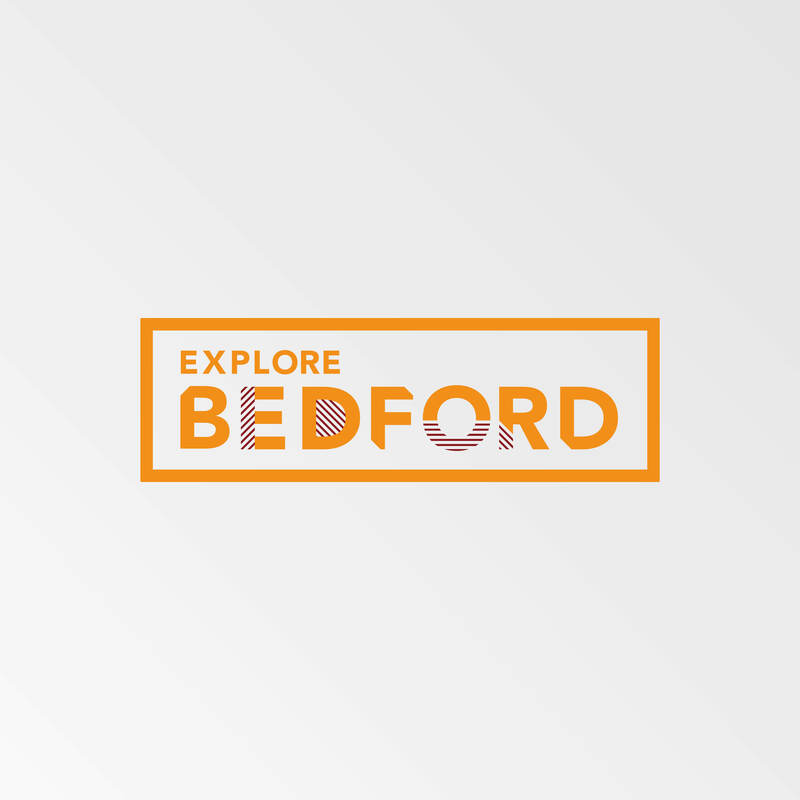 Alongside the clothing, Boyd’s of Bedford also has a range of practical Christmas gifts and accessories, perfect for the man who has everything, but would quite like some waterproof playing cards, hand-poured soy candles made in Newport Pagnell or grooming products from the Bedfordshire Beard Company!